Life has become delightfully simple these days. The wedding is over, and we're happily settling into our married life. We drink coffee in the morning. We visit our day jobs, and then come home and eat dinner on the porch. In keeping with our simple life, the man made us a simple dinner. A huge bowl of steamed shrimp and a spicy cocktail sauce for dipping, perfected from a lifetime in Baltimore. We were up to our elbows in shrimp shells, Old Bay, and dirty napkins. Fine by me. We washed it all down with some cold beers, and felt grateful. 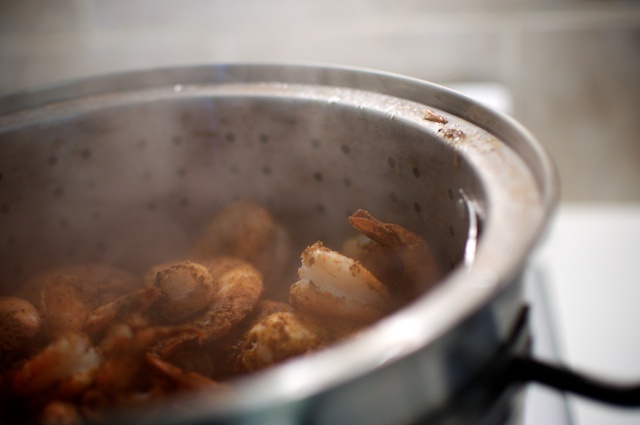 Coat shrimp (with shell on) in Old Bay seasoning and steam over boiling water, beer and vinegar for about 7 minutes. 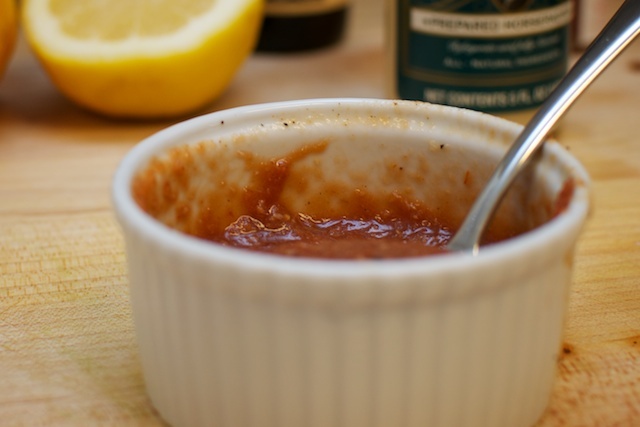 Mix ketchup, horseradish,Worcestershiresauce, lemon juice, tabasco and black pepper. Chill and serve. 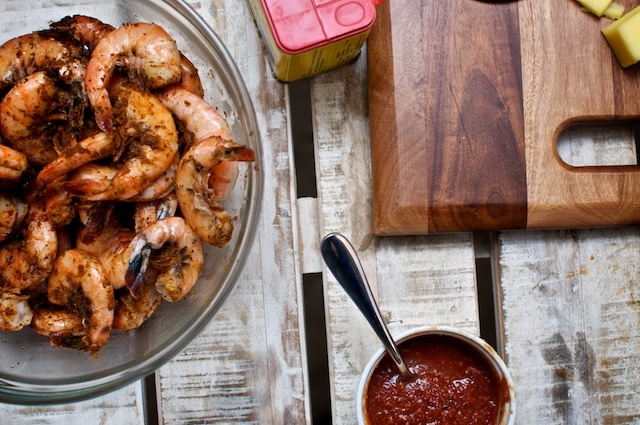 Enjoy these shrimp outside if possible. Bring liquids to a boil in a large stockpot that has an accompanying steamer basket. 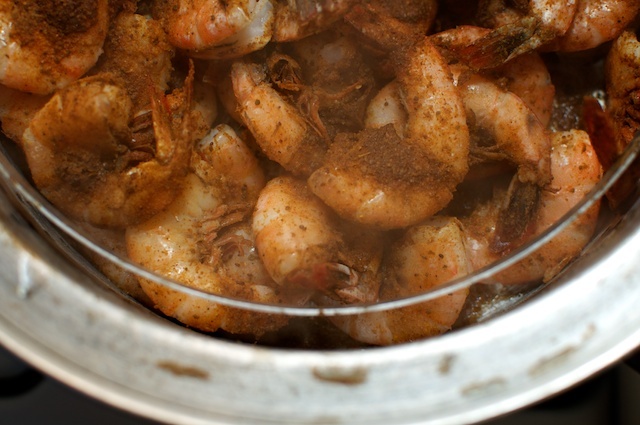 Put shrimp in steamer basket and coat with Old Bay and stir together. Place basket over boiling liquids with lid on for 7 minutes. 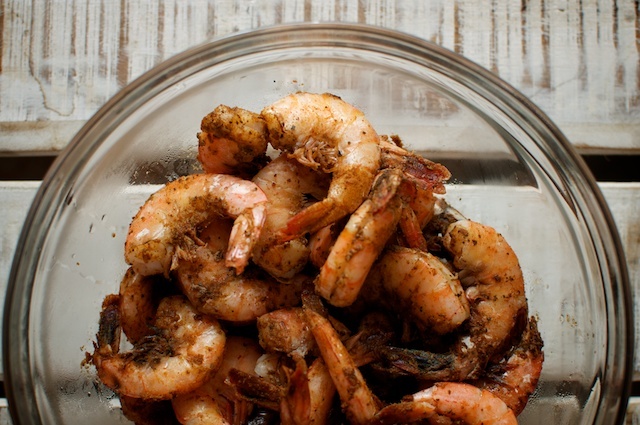 Remove shrimp and serve in a large bowl with a second bowl for shells. There are no exact measurements. These will give you a starting point, but change it up to your tastes.